It’s true what they say. Knowledge is power. 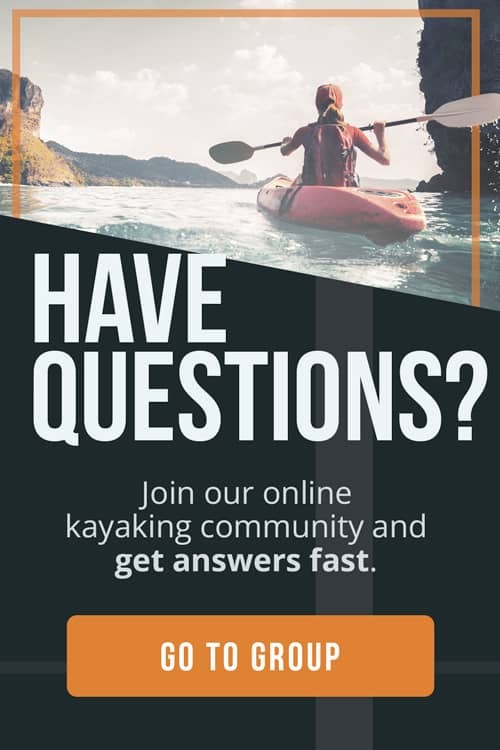 If your favorite sport is kayaking, you probably spend a good amount of time pondering about traveling, technique and kayaking adventures. 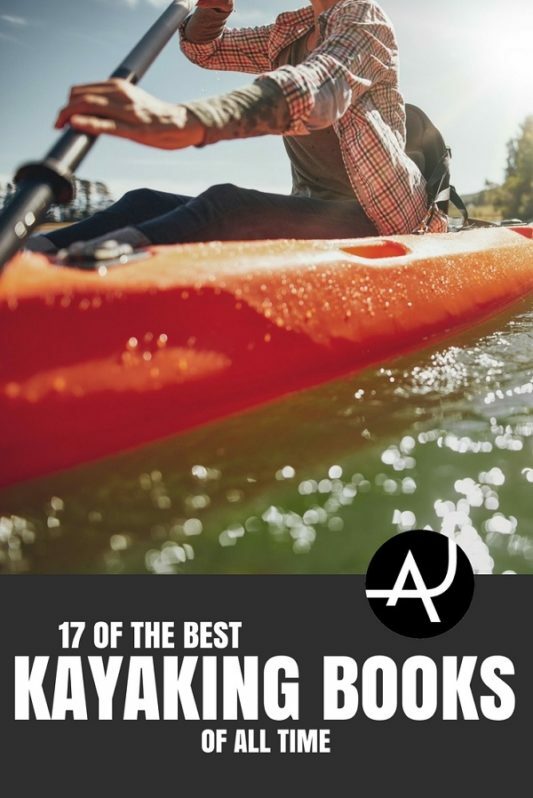 We understand the fascination, which is why we’ve made a list of the best kayaking books. 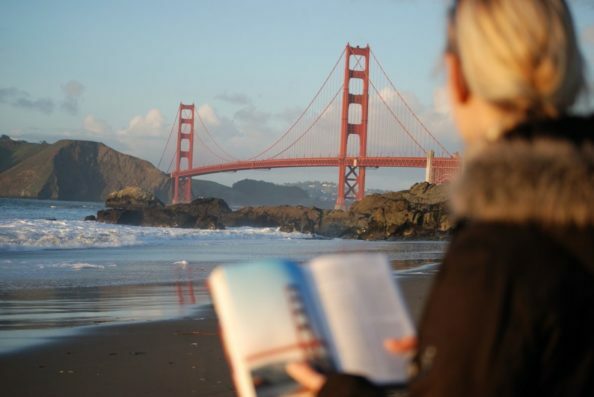 In this directory, you’ll find how-to handbooks, destination guides, non-fiction books and fiction novels (because depending on the weather, knowledge can also be relaxing). 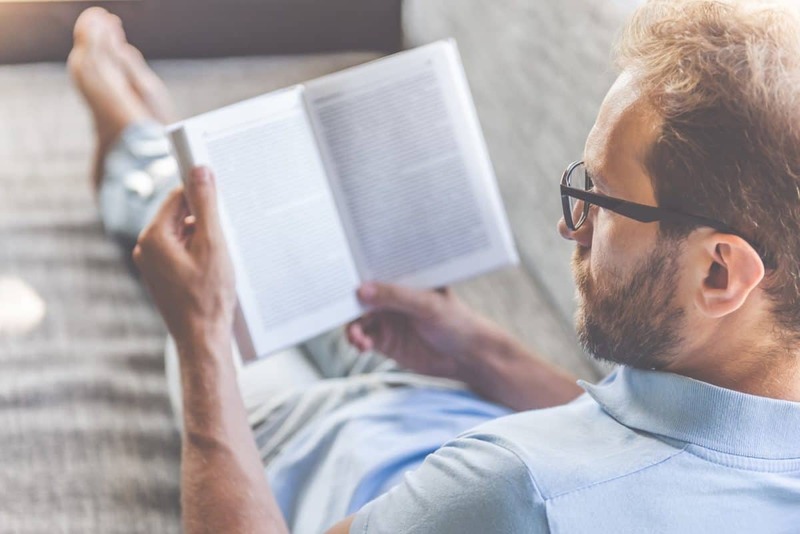 Here at the Adventure Junkies, we love to read as much as you do. Reading almost always opens up new worlds. In this case, you’ll find new places, frightening first accounts, and narratives straight out of an imagination as curious as yours. 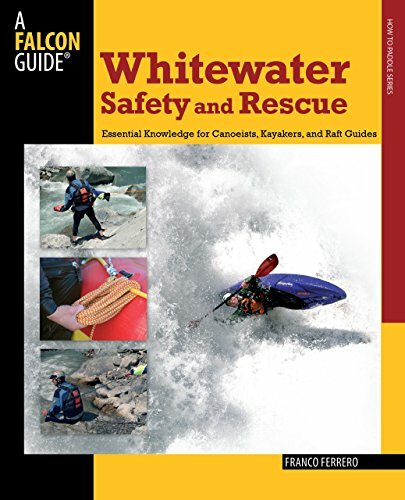 From brand new beginner guides to whitewater safety and rescue techniques, this section is packed full of knowledge you won’t want to miss before your next kayaking trip. 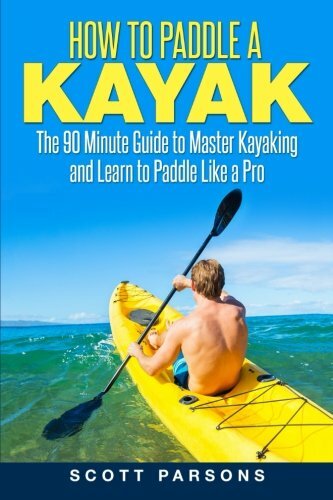 Grab this quick and informative read that provides everything you need to know to start kayaking today. 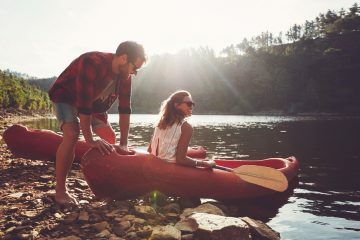 This book focuses on critical safety, basic skills, and avoiding pitfalls to ensure your beginning forays into the world of paddling are successful and positive experiences. Not only is it concise and easy to understand the various techniques discussed, it also reinforces them with links to videos that clearly demonstrate the concepts. 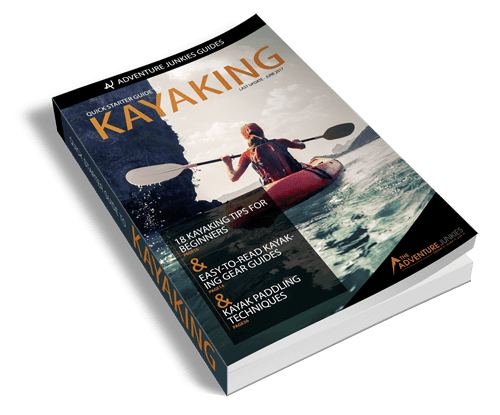 Written by the charismatic lifelong paddler, instructor, gear designer, and guide, Nigel Foster has compiled the wealth of knowledge he imparts in his lectures and clinics around the world into a comprehensive and detailed manual you can enjoy anywhere. Leaving no stone unturned, he covers equipment, flat water skills, trip planning, ocean theory, and advanced skills. 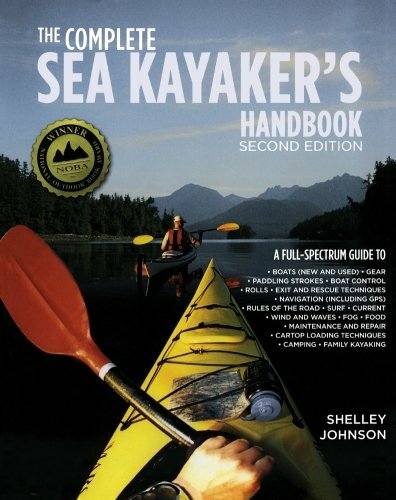 With an engaging storytelling style supported by vivid annotated photos and diagrams, this book manages to captivate beginners without confusing while informing more experienced kayakers of sophisticated techniques. Great for beginners and those looking to fill knowledge gaps, this encyclopedic reference lives up to its title. 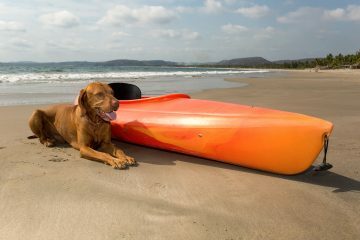 While the usual gear coverage and paddling techniques are discussed, Shelley artfully details real-life considerations such as group and family travel, kayak camping, safety, and logistics. From pre-trip planning and preparation to field repairs, storage and maintenance, this guide has you covered. As a British Canoe Union Level 5 Coach, certified Rescue Emergency Care provider, and Rescue 3 Instructor, Franco Ferrero has the credentials and knowledge to address potentially life saving skills and techniques with authority. 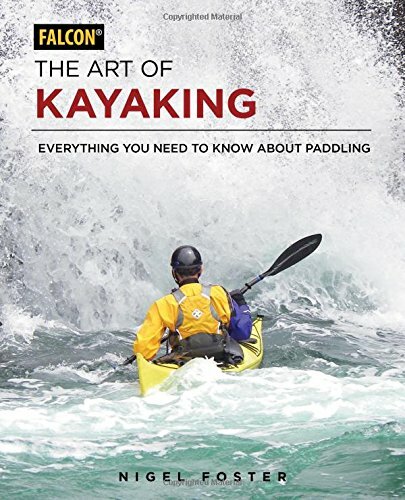 Clear and comprehensive, with over 400 photos and diagrams, this is one book every paddler (not just whitewater enthusiasts) should own and review regularly. Don’t fret. This is not a far fetched new age, drum circle attendee’s guide for paddling. 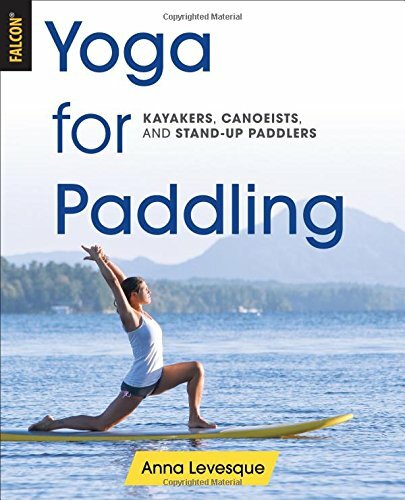 It is, however, a thoughtful, practical, and effective text on how to prevent and rehabilitate paddler specific injuries, strengthen, balance, and maintain neglected muscles, and regain flexibility. Oddly enough (or maybe not) it’s also broadly applicable to anyone who spends significant amounts of time sitting for work or play. Horseback riding? Auto racing? You need this book too. 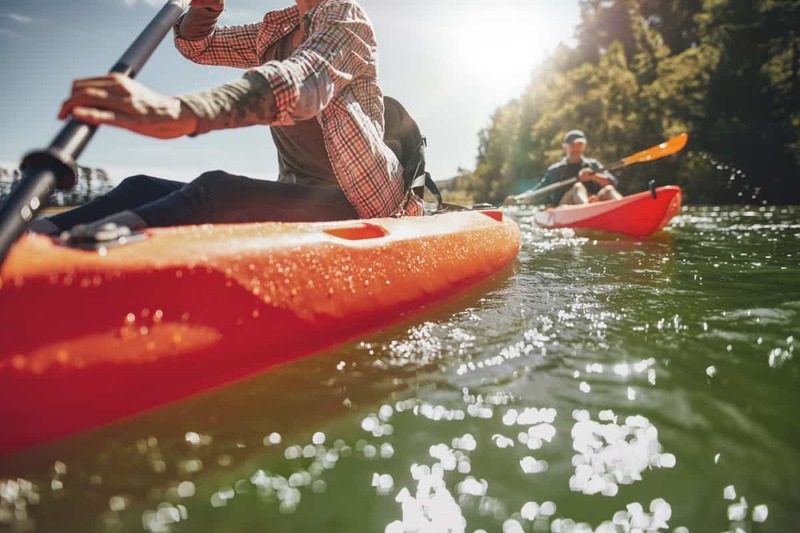 Google Maps and forums can be helpful for getting ideas about your next trip, but if you want exclusive details from locals and experienced kayakers, destination guides are the way to go. We’ve selected a number of guides that will take you all across the world, from Florida to Oregon, to New England and beyond. It’s exactly as the title describes. Chase your next aquatic adventure with a book that understands we all seek a bit of solitude or an adrenaline rush. 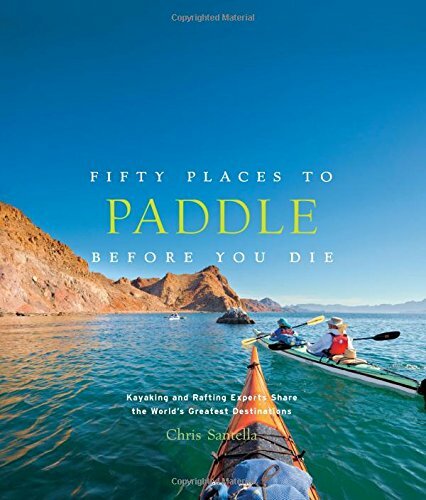 Great as a coffee table book and reference that will stoke the wanderlust of you, your family, and any guests fortunate enough to turn its pages, you’ll learn about the best locations from the very people who spend their lives pursuing magical paddling experiences. 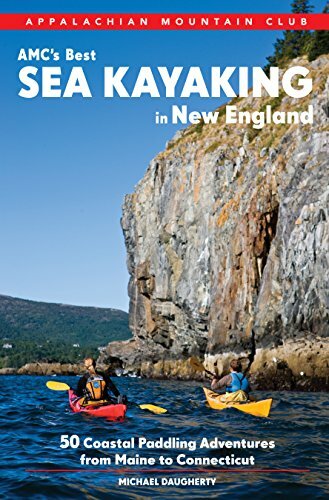 New England, from Maine through Connecticut, boasts over 6,000 miles of coastline – presenting a veritable cornucopia of excursions for the sea paddler. This recently updated guide provides vital and in-depth information perfect for trip planning, hazard avoidance, alternative routes, and nearby attractions. Coupled with historical sidebars and essays, this is a must-have for any explorer living nearby or planning a visit. No doubt about it, the storied Florida Keys are magical. While there’s no doubt Bill Keogh is a paddler, and includes all the requisite information one needs for trip planning, it’s also clear he’s a biologist at heart. 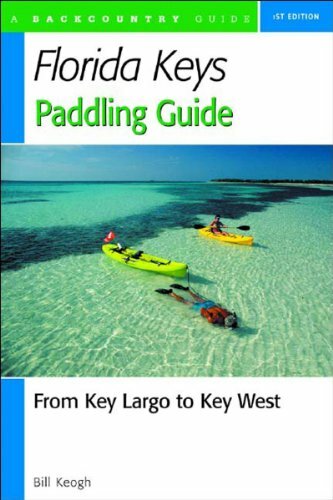 This handbook is useful for paddling, snorkeling, scuba diving, fishing, or anyone interested in wildlife and the diverse ecosystem that is the Keys. 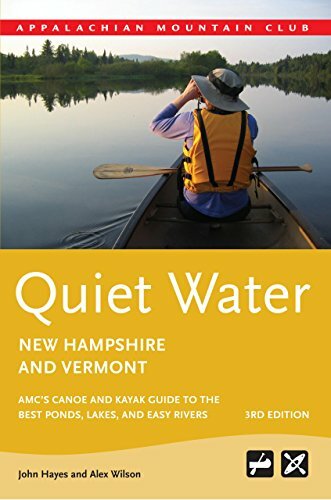 If you’re looking for a definitive, comprehensive, and detailed guide to the flat-waters of New Hampshire and Vermont, look no further. Well, you can and probably should, but you’ll still come back to this one. 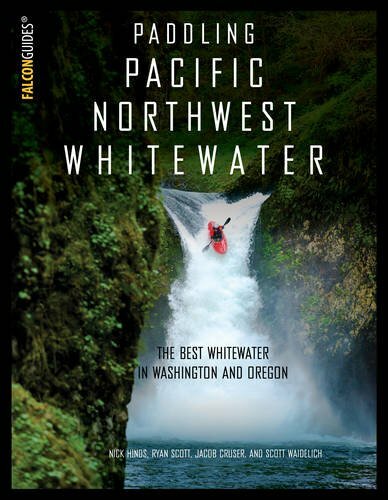 Part guide book, part photo epic, this finally delivers the goods on PNW whitewater. While some will lament the lack of a table of contents or index, this is a guide one explores and gathers inspiration from. Maybe you’ll get it. Maybe you won’t. But it distills and delivers the essence of the region’s unique brand of stoke. Either way, it’s a stunner whitewater fans shouldn’t miss out on. Get it. Read it. Do it. 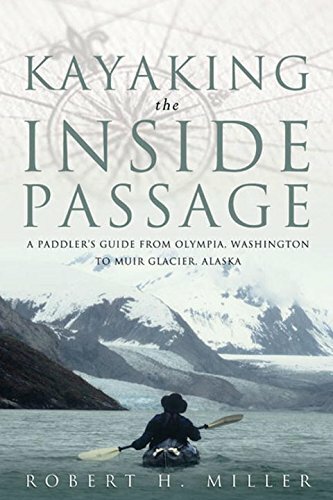 This guide to the renowned classic paddling trip is a compelling read in its own right. Variations of the storied 1,300 mile route have defined the spirit of sea kayaking exploration and grit for over a generation. After consuming this, you have much else to do than prepare and pack your bags. Some of the most riveting stories are true. 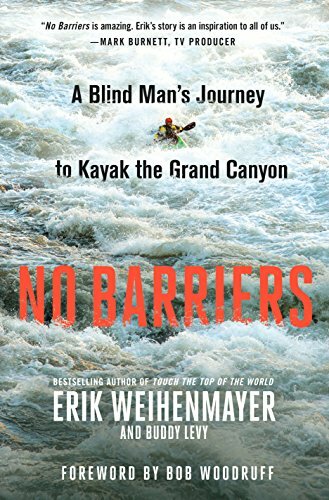 In this section, you’ll find a few books written by real-life adventurers who have challenged themselves physically, emotionally, and sometimes dangerously, and lived to tell the tale. What insanity compels a man to circumnavigate Ireland, paddling 1,200 miles in a kayak, solo? You’ll have to find out for yourself. 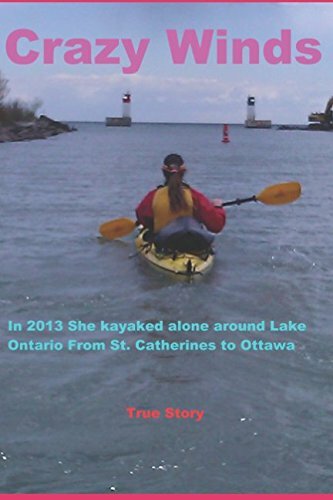 Whether you’re inspired or discouraged from your own adventures, Duff’s story lends a captivating look into the experiences, interactions, and emotional travails one encounters when undertaking prolonged personal challenges. Erik’s tale is one of motivation and empowerment in pursuit of the best in everyone. It’s somewhat rare to find inspiring stories without braggadocio or emotional terrorism. This is one of them. And it’s happily infectious. 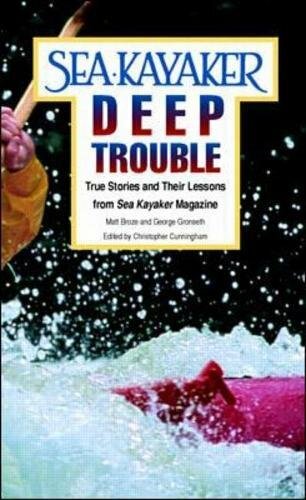 While Deep Trouble delivers a riveting collection of 20 sea kayaking accidents, it also has a greater purpose, imparting potentially life-saving knowledge. As the saying goes, “Those who do not learn history are doomed to repeat it.” With that in mind, each incident is subjected to thorough analysis and what should have happened. All this culminates in an overall message supporting preparedness. Written as a raw, personal account for her young son, Ms. Right’s book is an easy read nevertheless. A tale that began as a somewhat naive desire for freedom and exploration became 455 miles of perseverance. courage, and wisdom. Thoughtful and compassionate, any wandering soul will appreciate her story. For our final non-fiction recommendation we cross the land, from the balmy South to the frigid wilds of Alaska. You’ll be surprised that an account of bureaucracy’s effects on the state can be such an engaging read as to come across like a work of fiction. 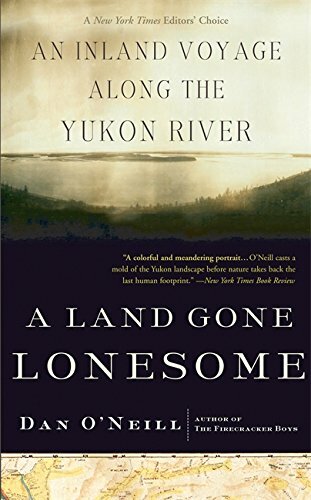 This is not only the story of O’Neill’s trip down the Yukon River, but one of the land’s history and lore, leading to today. He’ll make you fall in love with Alaska from afar. 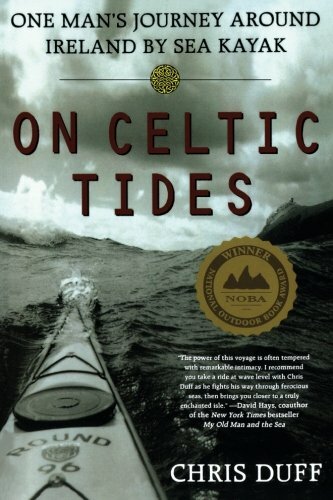 On a rainy day, curl up with a cup of tea and a fiction novel surrounding the sport of kayaking. While your body can’t be on the water all the time, who says your mind can’t be? 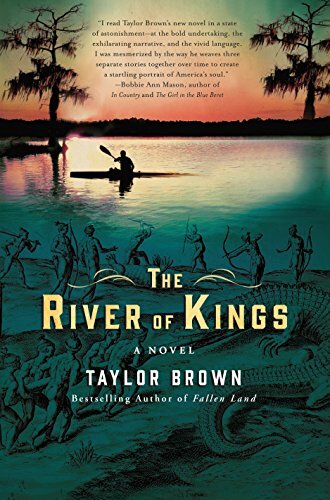 A vivid and mesmerizing epic which weaves three stories together into a beautiful portrait of the Georgia heartland. Brown tells of two brothers’ trip down a lonely stretch of river toward the sea, carrying with them their father’s ashes. As they progress, so does the narrative, detailing a 1564 French expedition, and exploring the mysterious death of their father. Be prepared to lose some sleep when you take this on your next overnight kayaking trip.